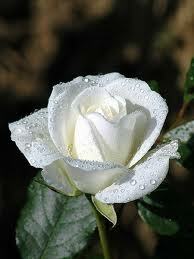 White--innocence and purity. But it's also a favorite at weddings, so unless you're proposing, better pass on the white! 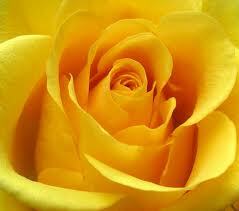 Yellow--friendship, platonic love. If you send this one to a woman, you're saying she's incredible. Just not for you. Sterling silver or lavender rose--my personal favorite. Enchantment, love at first sight, the unattainable. Yes, I can see that. This rose isn't so common. It's unique. To me, if a guy gave me sterling silver roses, he'd be telling me I'm one of a kind. Special. 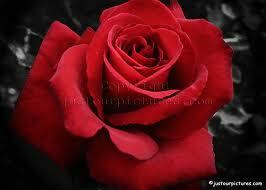 The red rose--everyone knows this one is the rose that says "I love you." When I was growing up, my parents had all colors of roses in their garden. Some were hybrids. One was yellow with red tips. I wonder, does that one go to the friends with benefits? Fortunately for me, Amy doesn't care to celebrate Valentine's Day and neither do I. Damn hallmark holidays. I used to randomly buy her flowers until we got the cats and they decided that flowers make a great snack. The sterling silver rose is gorgeous! Isn't the yellow with red tips a peace rose? We had them in our garden. However, I do like all the rest...especially the lavender rose...very nice!!! And, as mentioned before, I don't have a romantic guy...so, no roses for me unfortunately! 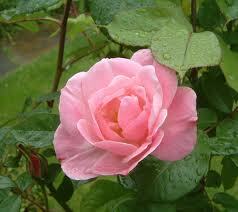 At our previous house, my darling planted a dozen rose bushes in a variety of colors. Thanks for posting the definitions of the color of flowers. I don't think enough people know the color legend enough when they send them out. I also love your thoughts on the hybrids (friends with benefits) that was hilarious. Great post Norma. 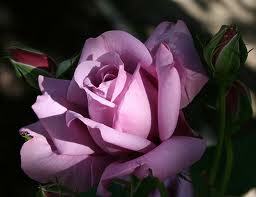 lavendar rose! How beautiful. Like lavendar jade. My fav is pink roses mixed with red. Hmm. Maybe I send mixed signals. good blog as always, Norma. Your publisher sent you *roses*??? 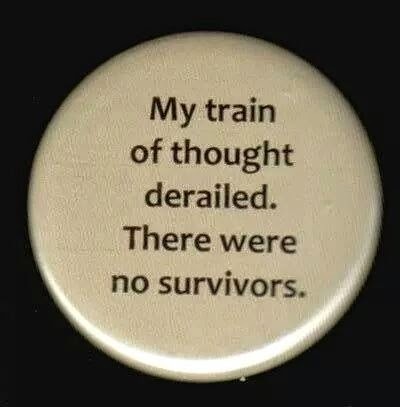 I'm just holding out hope that my publisher sends me a congratulatory e-mail! Hey Norma: My second hubby gave me yellow roses many times. Yeah well...he's out of the picture now. My hubby now better give me red or sterling. I'm going to be rose sensitive now. I didn't know there were these many kinds of roses. The lavender roses are beautiful! Great blog, Norma! William: there are more colors than this--these are just the basics. Mark: yup, they sent me roses. My agent sent me a telegram. I got the star treatment, and it went straight to my head. For a while. Karla: I think you may be right about the peace rose. I always thought it was especially pretty because it was different. Awww, that means my husband just proposed to me again :) Actually he got me an arrangement of many different kinds of flowers, but there were white roses in it. Great post! I knew the different colors had meanings, but wasn't quite sure what they were.